Book and enjoy the Sun Maris Park Hotel which offers a relaxing and enjoyable holiday and will appeal to both couples and families. 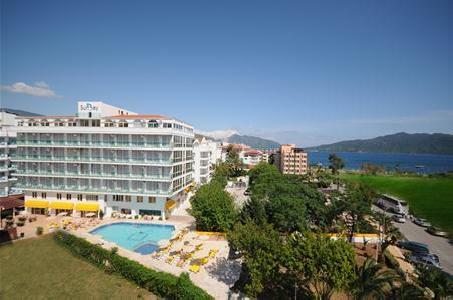 The Sun Maris Park Hotel is situated in the heart of Marmaris, located just 100 metres from the beach and 1.5 kilometres from Marmaris city centre. It offers a friendly and lively atmosphere with fantastic views of the sea and surrounding countryside and appeals to both couples and families as it offers a large pool, garden sunbathing area for relaxation or a quick stroll to the beach for that taste of sea and sand. 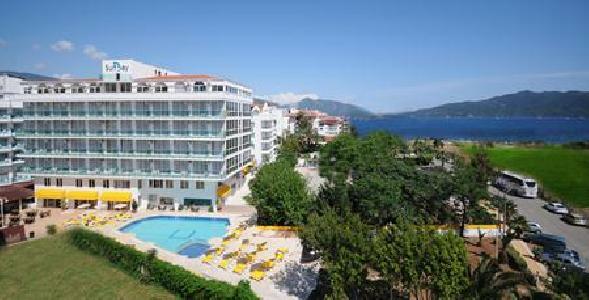 The Sun Maris Park Hotel is located 1.5km from Marmaris, 6km from Icmeler and 90km from Dalaman Airport. 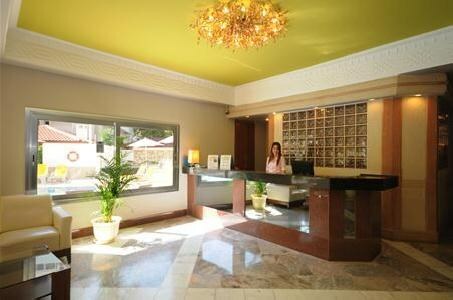 Food, Drink and Entertainment: Restaurant, Pool Bar, Lobby and Karaoke Bar. Sports, Games and Entertainment: Swimming Pool, Sauna (11:00am till 20:00 free of charge), Gym, Turkish Bath, Massage Room, Coiffeur, Billiards and Darts. Please note sun beds, umbrellas, shower and WC are free of charge at the beach. 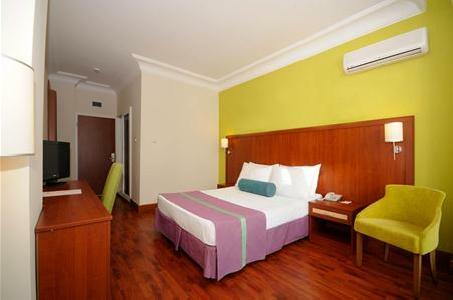 Additional charge: Doctor, Car Rental, market and a shuttle bus service to the private beach. 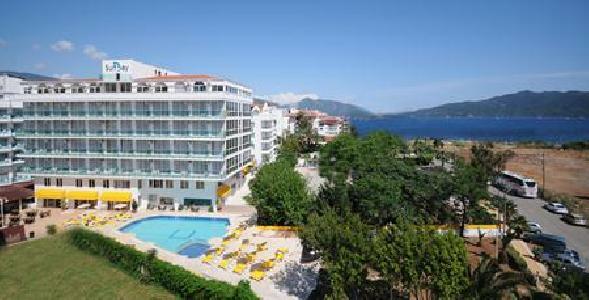 The Sun Maris Park Hotel offers 90 rooms which include 80 Standard rooms and 10 Family rooms. 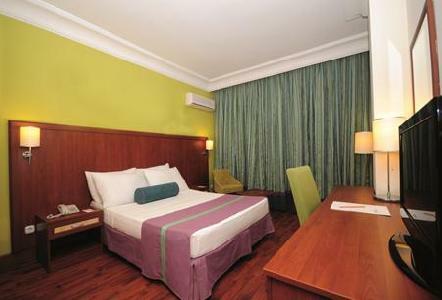 All rooms have en-suite bathroom with bathtub, direct phone, air-conditioning, mini bar, safe, satellite TV, hairdryer and a balcony.